With three new Senate vacancies already present in the 2012 election cycle, it’s time to update our election grid. Democrats, including the two Independent senators who caucus with the party, must defend 23 states compared to just 10 for Republicans. The GOP needs a net gain of four seats to claim the outright majority, but 13 to reach 60, the number needed to invoke cloture on any issue. North Dakota – Sen. Kent Conrad’s retirement gives the Republicans their best shot at converting a Democratic state. The GOP political bench here is robust and strong, thus the eventual Republican nominee will enter the general election as the favorite. Nebraska – Sen. Ben Nelson, a retirement possibility, is politically damaged. He already trails at least two potential GOP candidates in polling, Attorney General Jon Bruning and state Treasurer Don Stenberg. Right now, in this very early going, the Republicans are favored to convert the state. Florida – The politically marginal Sunshine State suggests that Sen. Bill Nelson (D) will face a highly competitive 2012 election challenge. The GOP field is yet to be determined, but Rep. Connie Mack IV (R-FL-14) appears to be the only Congressman positioning himself for a run. Right now, Nelson must be viewed as the favorite, but this will become a serious race. Michigan – The Republican resurgence here, and the early polling, suggests that Sen. Debbie Stabenow has a difficult road to re-election. GOP candidates have yet to come forward, thus the current Lean D rating is attached. Michigan is certainly a state to watch. The presidential election year turnout model is a plus for Stabenow. Missouri – Sen. Claire McCaskill is polling in the dead heat range against former Sen. Jim Talent (R), the man she defeated in 2006. Talent is not a sure candidate, but former state treasurer and gubernatorial candidate Sarah Steelman is. Rep. Sam Graves (R-MO-6) also is reportedly considering entering the contest, particularly if Talent remains on the sidelines. All would be very competitive against McCaskill in a state that is trending a bit more Republican during the past two elections. Montana – Sen. Jon Tester can also expect a very competitive GOP challenge in what is normally a Republican state in a presidential year. 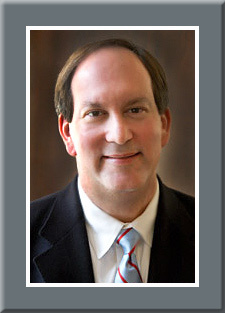 Rep. Denny Rehberg (R-MT-AL) has not yet committed to the Senate race. Former Lt. Governor nominee Steve Daines is an official candidate and actively raising money. Ohio – Sen. Sherrod Brown faces tough sledding presumably against newly elected Lt. Gov. Mary Taylor (R). Ohio will again assume its normal role as a battleground state for the presidential campaign, which, in 2012, could help Taylor. This may become the most hotly contested Senate race in the country. Virginia – The actions of former governor and Democratic National Committee chair Tim Kaine and defeated gubernatorial candidate and ex-DNC chair Terry McAuliffe (both saying they won’t run for Senate in 2012 under any circumstances) suggests that Sen. Jim Webb will seek re-election, even though the incumbent has yet to confirm his intentions. Former senator and governor George Allen (R) will soon announce his candidacy, setting up a re-match with Webb. The Democrat won by 7,231 votes of more than 2.3 million cast five years ago. Early polling suggests a dead heat. Hawaii – Speculation is prevalent that Sen. Daniel Akaka, who will be 88 at the time of the 2012 election, will retire. If so, the Republicans will be competitive with former Gov. Linda Lingle. If Akaka runs, and early indications suggest he will, the Democratic incumbent should have little trouble winning again. New Jersey – Sen. Bob Menendez is polling below 50% in early survey trials but comfortably ahead of all potential Republican rivals. Though the senator is the decided favorite today, this race could become one to watch. Republicans may be looking most favorably toward entrepreneur John Crowley, who appears to have the potential of generating measurable political strength. New Mexico – Sen. Jeff Bingaman (D) is in strong position for re-election and is viewed as a heavy favorite. Republican former Rep. Heather Wilson (R-NM-1), always a good vote-getter, could make challenging Bingaman a competitive race. She is said to be seriously considering launching a bid. Wisconsin – Though he has been mum on his re-election intentions, Sen. Herb Kohl is another retirement possibility. If he chooses not to run, defeated Sen. Russ Feingold (D) waits in the wings to run again. Should the senator seek re-election, he will likely face only a minor challenge. Connecticut – Sen. Joe Lieberman’s (I) retirement, thereby avoiding an unpredictable three-way race, greatly improves the Democrats’ chances. Rep. Chris Murphy (D-CT-5) and ex-Secretary of State Susan Bysiewicz are announced Democratic candidates. Edward Kennedy Jr., son of the late senator, is rumored as a possibility. The two losing 2010 nominees, Tom Foley in the governor’s race and Linda McMahon for the Senate, are both mentioned as possible candidates; so is former Rep. Rob Simmons (R-CT-2). Pennsylvania – Until the Republicans field a top-tier candidate, something they have yet to do, Sen. Bob Casey Jr. is a strong favorite for re-election. A serious campaign could develop, but not unless a stronger Republican joins the current field of candidates. Rhode Island – The Republicans could move this state into the competitive category if former Gov. Don Carcieri (R) decides to run. In a presidential year, it is unlikely he will, so Sen. Sheldon Whitehouse is a solid favorite for re-election. 2010 gubernatorial nominee John Robitaille (R) has already closed the door on a senatorial challenge. Vermont – Sen. Bernie Sanders (I) is another strong favorite for re-election, but state Auditor Tom Salmon (R) is making noises about challenging the first-term senator. A statewide official would give the Republicans the opportunity of making this a competitive race. Arizona – Retirement rumors are swirling around Sen. Jon Kyl. The senator has yet to begin an active re-election effort, thus suggesting he may decide to call it a career. The seat is competitive in an open situation. Nevada – This is clearly the most vulnerable Republican seat, should scandal-tainted Sen. John Ensign win re-nomination. Rep. Dean Heller (R-NV-2) is considering a Republican primary challenge. Heller would have a good chance of winning the nomination and the seat. Democrats are in strong shape if Ensign qualifies for the general election. Rep. Shelley Berkley (D-NV-1) is a potential Democratic candidate and promises to make her intentions known in mid-February. Massachusetts – Sen. Scott Brown (R), elected in an early 2010 special election, must stand for a full term in 2012. Despite Massachusetts being one of the most reliable of Democratic states, Brown’s numbers appear strong and he has a legitimate chance to win again. Once the Democratic field gels, a better assessment can be made. Indiana – Sen. Richard Lugar (R), who will be 80 at the time of the 2012 general election, has already announced that he is seeking re-election. A predicted Tea Party primary challenge could be his biggest problem. Lugar looks strong in a general election, but the GOP primary situation could change the outlook. Maine – Sen. Olympia Snowe (R) has some of the better general election approval ratings of any 2012 in-cycle senator but, she too, has Tea Party problems in the Republican primary. Her situation in that regard has improved of late, however. Analyzing this initial line-up, it appears the Republicans’ chances of gaining an outright majority are good today, though there is no chance the net increase could be so high as to score filibuster-proof control.